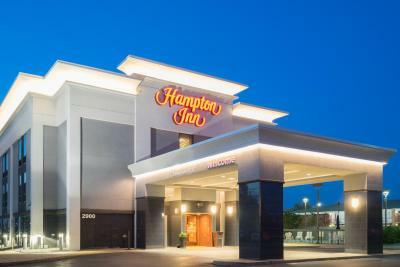 Lock in a great price for Hampton Inn Jonesboro – rated 8.1 by recent guests! Very nice Hampton Inn. The room was very clean and kept up. 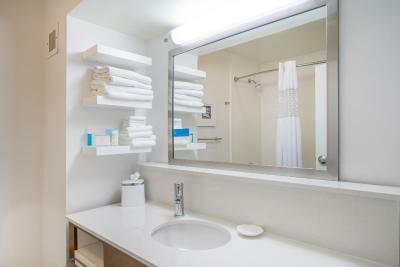 Plenty of towels and toiletries in the bathroom. The bed was very comfortable. Breakfast was good, too. Plenty of options to choose from. 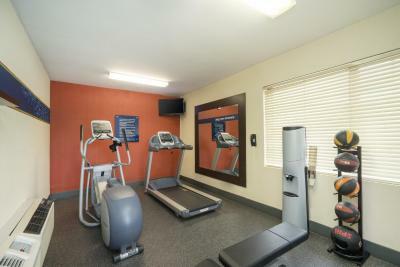 The hotel is centrally located to several restaurants, gas stations, etc. Bed was great, eggs just right. The staff were outstanding in all catagores. The free beverage bar (water/coffee) was nice. Staff was very nice! It's wonderful that you have free hot breakfast for people! Eggs should have been plain not mixed with items people might not like, like onions and bell peppers. There wasn’t much I liked about the property at all. 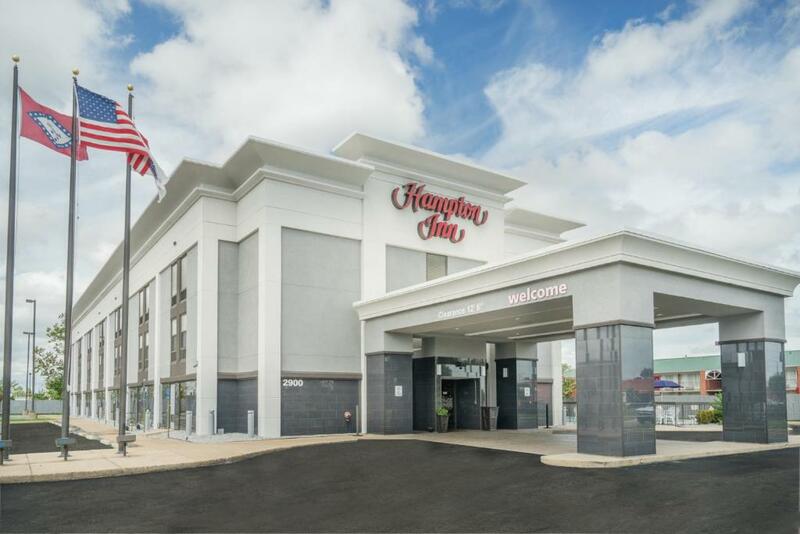 Hampton Inn Jonesboro This rating is a reflection of how the property compares to the industry standard when it comes to price, facilities and services available. It's based on a self-evaluation by the property. Use this rating to help choose your stay! All rooms at Hampton Inn Jonesboro come with cable channels, including HBO. 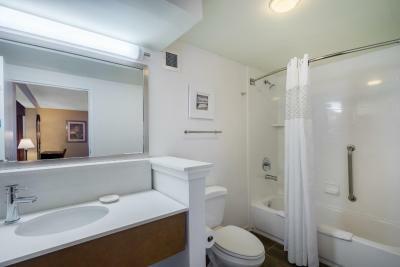 A tea/coffee maker comes as standard, and some accommodations feature a spa tub. 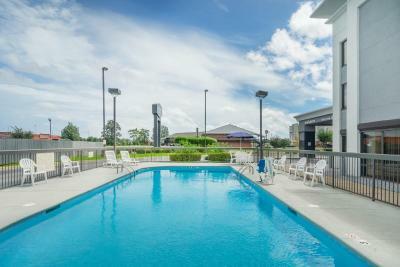 Jonesboro Hampton Inn offers a fitness room and an outdoor pool. For some outdoor activity, the 18-hole golf course of Jonesboro Country Club is about 3 miles away. 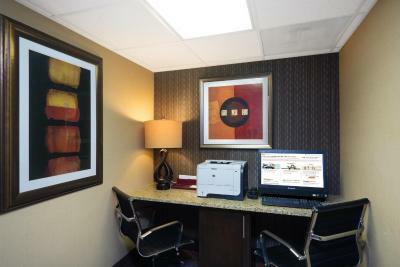 Hampton Inn Jonesboro features a business center, with a free printing service. 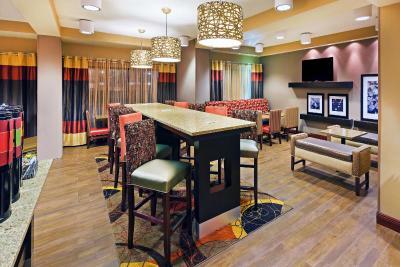 When would you like to stay at Hampton Inn Jonesboro? Cable TV with premium movie channels is featured in this room. 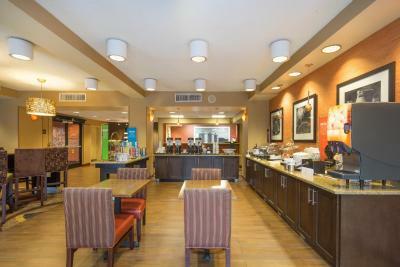 Tea and coffee-making facilities are also provided. 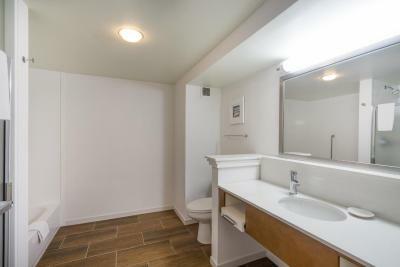 This suite has a microwave, refrigerator and private bathroom. 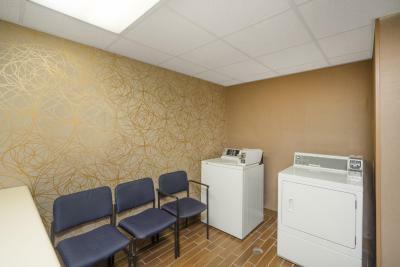 This room features a microwave, fridge, sofa and flat-screen TV. 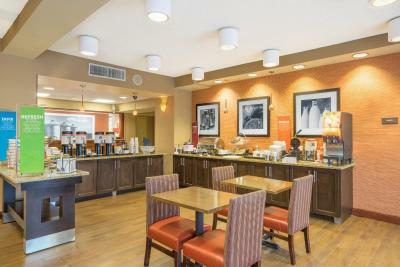 House Rules Hampton Inn Jonesboro takes special requests – add in the next step! 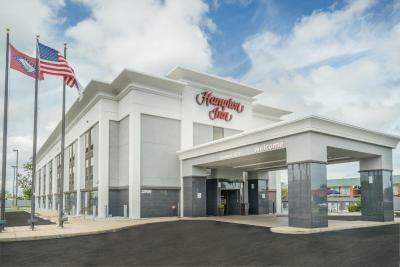 Hampton Inn Jonesboro accepts these cards and reserves the right to temporarily hold an amount prior to arrival. 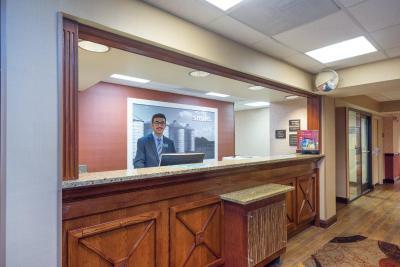 Please note that guests are required to present a valid photo ID and credit card upon check-in. Please note that all special requests are subject to availability upon check-in and additional charges may apply. Morning staff was not as friendly as the night staff. Not enough amenities for the price. The fact that our wing was under construction in the hallway. I made the reservation through booking.com. When the confirmation came through I checked it just to make sure. Good thing I did because the dates were wrong, the reservation was made for the 15th-16th, I needed the 20th-21st. I immediately got it touch with the hotel and booking.com. Booking.com got in touch with the hotel and verified that it was perfectly fine for the dates change. I noticed that my card was charged on the 16th for the room and called booking.com to see why since I was to pay at the property. They said it may have gone through on mistake but if I show the hotel where they charged me early, they wouldn’t charge me a second time. Great! Fast forward to arriving at the hotel. When I gave the lady my confirmation number she advices me there was no reservation at all. (I was 4 hours away from home, there for a wedding, and I already paid for this room; I’m getting a room!!) I explained to her the situation and showed her the confirmation email sent to me confirming the date changes. She then looked at me and said “there is nothing I can do.” That, to me, is a wrong answer. There is always something you can do and as it turned out there was. I called booking.com to relay the issue. Booking.com then called the front desk lady. (Turns out, she was the one that didn’t change the dates in the first place and the charge I saw was a cancellation fee). The front desk lady calls another lady to ask if I could get a room and they would comp it. (Note: this should have been done in the first place, I had all the confirmations to prove that I had a reservation made.) I finally get a room. We got a king size bed when we needed 2 beds. I brushed it off. The kids can sleep in a pull out bed. They’ll be fine. Then I opened the fridge. In the turned off fridge I saw (and smelled) someone’s seafood leftovers. I made my husband throw it out of the room as I gagged. I was frustrated to say the least with my stay. Overpriced. Staff was short & snippy. Preoccupied with their phone. Charged for complimentary item. Dental floss. It was just a room for the night. The outdoor pool prohibited us from swimming due to winter/rainy weather. Can’t go wrong with indoor pool and hot tub!